A dynamic, fully-immersive 3-hour training designed for educators, yoga teachers, storytellers and caregivers of children aged 2 – 6+years. Explore an exciting array of creative animal and transport poses and in a wonder-filled Story Yoga adventure to the Magical Zoo! Includes kids yoga games and useful breathing techniques! 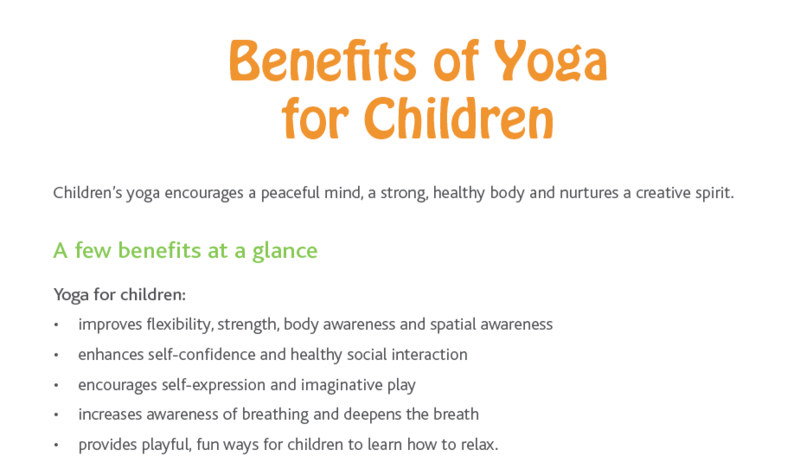 Experience how children’s yoga can offer a brilliant holistic teaching strategy that fully supports all strands of the Te Whāriki curriculum. You’ve just missed this PD in Auckland and Wellington. 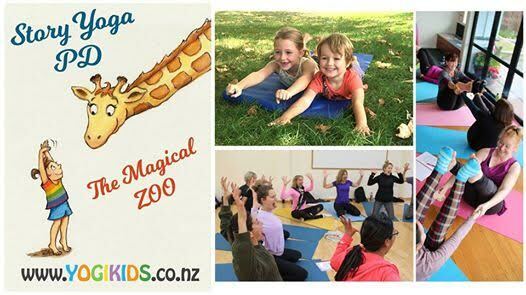 Keen to be notified about the next ‘Story Yoga: the Magical Zoo’ PD? LET US KNOW HERE! Story Yoga: The Magical Zoo serves as a stand-alone introduction to Kids Yoga or as an invaluable refresher for those who have attended our Storybook Yoga PD, offering an expanded repertoire of poses, class plans and games. 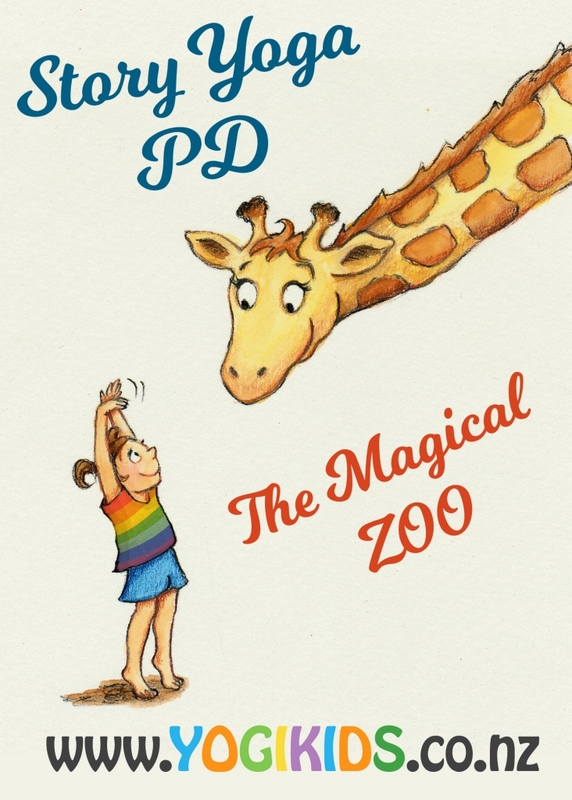 ‘The Magical Zoo” PD explores Kids Yoga through essential animal poses, both traditional and creatively modified, in a way that resonates with children’s innate sense of fun and engages their vivid imaginations. We embark on a drama-yoga adventure to reach the mysterious Magical Zoo using fun individual, partner and group poses to travel there, observing and emulating nature as we go.  Our session includes kids yoga games to reinforce our learning, some useful breathing techniques and guided relaxation. Participants come away with an educational, fun, healthy activity that they can share over and over again. Workshop presenter Michaela Sangl is a highly qualified and experienced yoga teacher for children, teens, partner yoga and adults integrative yoga with a formidable background in performance and the arts. 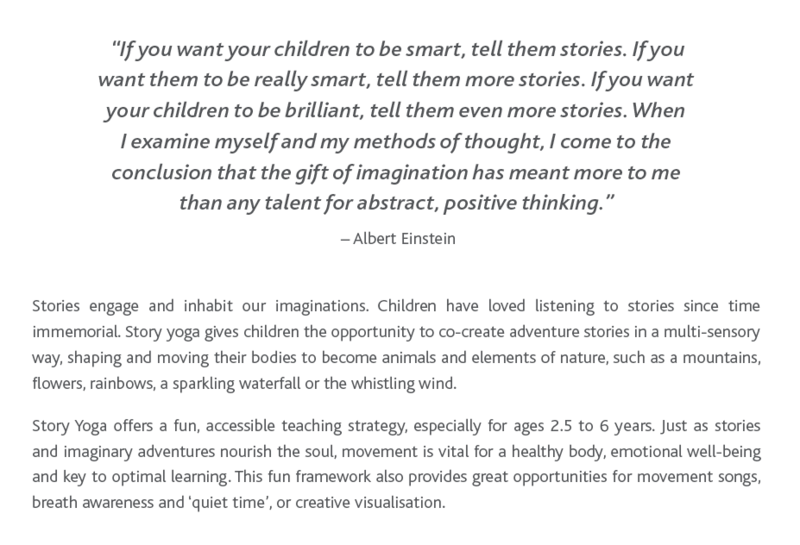 She is the director of Yogi Kids and her passion is making yoga fun, imaginative and accessible to children. To learn more about Michaela, click here. 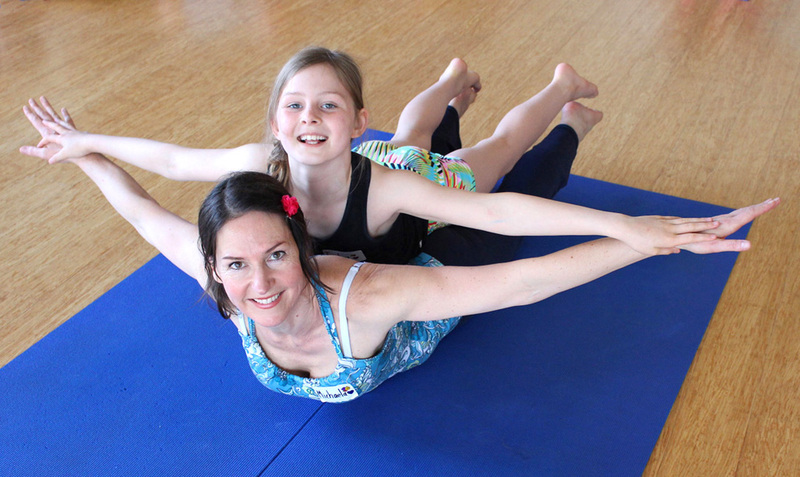 Some people are good at yoga, but not good with kids; some people are good with kids, but not at yoga (like me). Michaela is great at both! Add to this her wonderful voice and creative thinking and you have a yoga class that is fun, highly imaginative and leaves kids in a really positive and relaxed state. Highly recommended! Michaela is such a creative and generous yoga teacher. Her classes are fantastic and, as an added bonus, my daughter has been able to get to sleep more quickly at night by using some of the relaxation techniques. Michaela is a very passionate yoga teacher and artist, who inspires children with her energy, enthusiasm and creative ideas. She combines yoga with her knowledge of geography, nature, art, movies and children’s literature in fun-filled classes in which the children get some great exercise, breath awareness and relaxation, whilst learning more about the world. Michaela puts a great deal effort and planning in to each class to ensure that everyone has a fantastic time! Michaela, I am really impressed with how much energy you put into your classes and how much time you spend preparing!!! It really is an amazing class. You are very in tune with each of the children and Penny’s confidence and concentration is improving. Most importantly, Penny really looks forward to going! We love Yogi Kids! Esme is entranced and captivated and it is the highlight of her week. She is becoming greatly aware of her body and repeating the postures all week. My very energetic six year old son loves going to kids yoga with Michaela. Her creative and imaginative techniques as well as her ability to build a bond with every child in the room are what make her stand out. Our girl has learnt to swim, to play netball and tried Kelly Sports, but none of these have given her an inner light like Yogi Kids! I can see she is so very proud of herself and of what she is achieving in these classes! She will be back next term! Michaela has a wonderful way with children and takes them to a fantasy place where they feel like they are playing but most of the movements are yoga moves disguised in play. 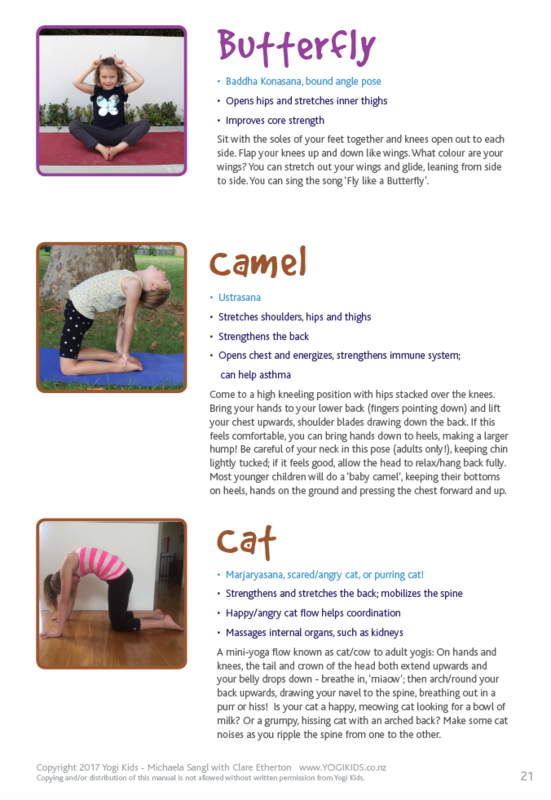 A great way for your child to stretch and breathe and for parents to get a chance to as well! Bubbly, fun, creative, intelligent, a cornucopia of information; until I Michaela, I thought I was the only person with these qualities. Michaela is a uniquely talented person whose classes I highly recommend to everyone. My 4 year old son and I did a term of pre-school yoga with Michaela and we both absolutely loved the classes. They were fun, engaging and creative and we can’t wait to do more. My son learnt breathing techniques and poses that helped with his focus and confidence and Michaela always prepared really exciting lessons that engaged and inspired the children. Copyright Yogi Kids © 2018. All Rights Reserved.